7 puppies were found near Cross Lake in Manitoba, Canada with no mama dog anywhere to be found. 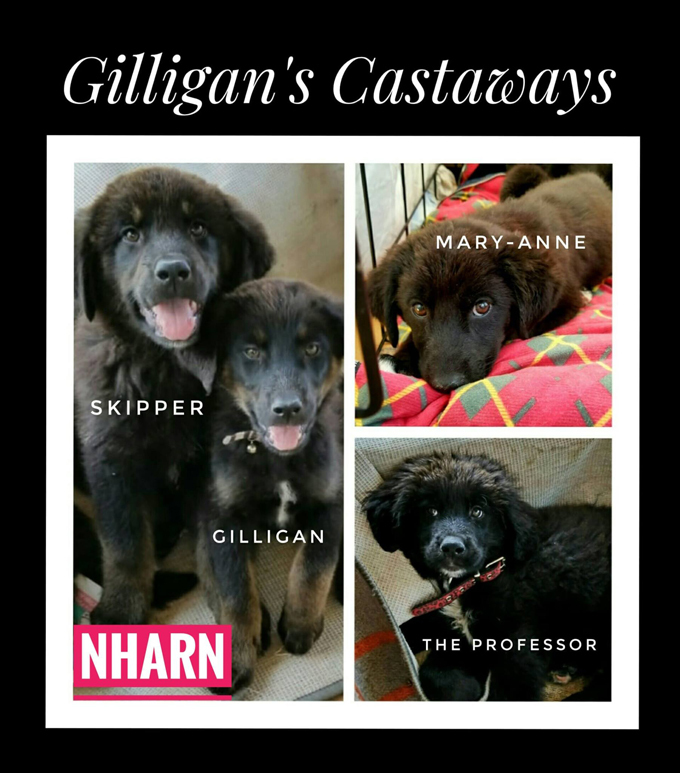 All 7 pups were named after the 7 castaways from Gilligan’s Island. Thankfully they did not meet a horrible fate or have to spend years on the island becoming feral. JR Cook and pal Leon were fishing nearby, and heard what sounded like crying. The men eventually located 7 puppies on a small deserted island. They brought the pups food and a dog house to keep warm and immediately contacted Norway House Animal Rescue. The abandoned puppies look like Newfoundland and Labrador mixes. Nobody knows who dumped the puppies on the island. They certainly didn’t swim there. The good news is that they were found and are in good hands. Now in Winnipeg, the pups still need much vetting and socialization, but will eventually be put up for adoption. Should not take long as people have already started filling out adoption forms! 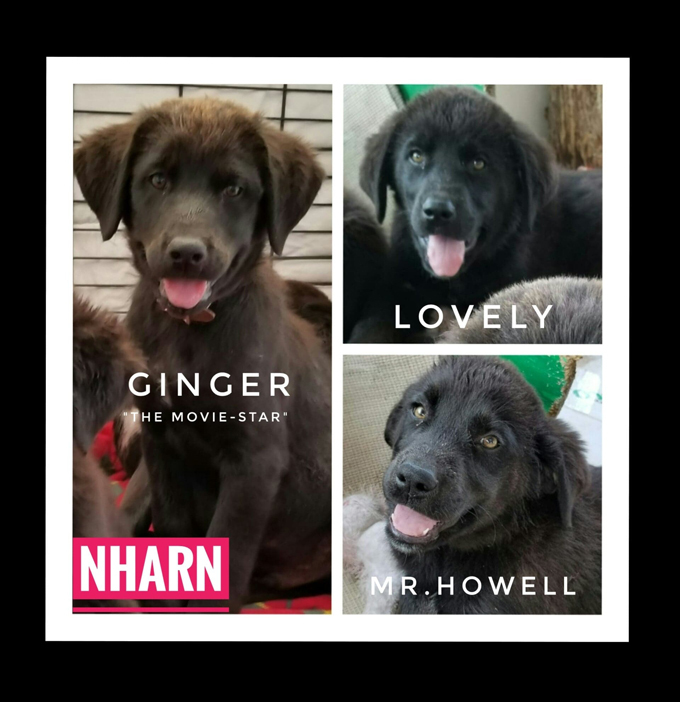 Follow their story on Norway House Animal Rescue’s Facebook Page. For adoption inquiries please contact Winnipeg Pet Rescue Shelter. 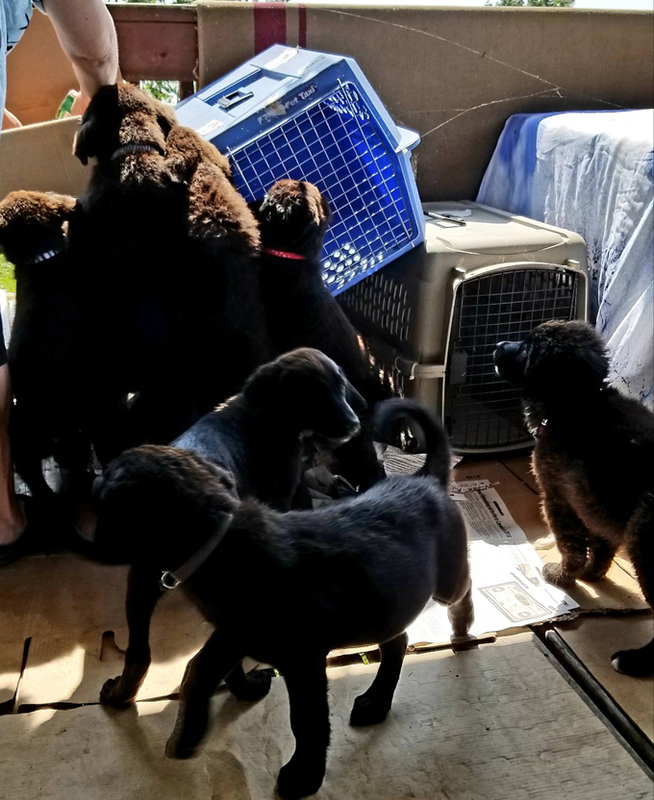 If you are ever in a situation where you have a dog or puppies that you can not care for, it’s never a good idea to dump them somewhere to fend for themselves. Always take them to a reputable animal shelter where they will be cared for and have a fighting chance at finding a good home. In many states it’s illegal to dump a dog and can come with stiff fines. We hope all these beautiful pups find loving forever homes and with your help we are sure they will. Please share this post to help them find homes.